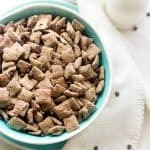 The classic Puppy Chow recipe gets a healthy, high protein makeover that is also gluten free and naturally sweetened. It’s quick, easy, and great for kids! Why do the people on road signs (like “school zone” or whatever) NEVER have necks? WHY DO THEIR HEADS FLOAT? Why do deep dish paleo chocolate chip cookies have to be unhealthy and roasted broccoli has to be healthy? Eating buttery, sweet goodness > Eating mini trees. Sidenote: I have had all of these conversations MULTIPLE times with the Huberoni. I am starting to think I should check his search history for mental institutions. What animal hating person was in charge of naming foods THAT DAY? You know what I am SAYIN? Probably not. I wouldn’t expect much else. Sidenote, the sequel: I’m trying to ponder how I can make Mr. FFF go to IHOP for gluten free pancakes tonight for the 2nd time this week. Unrelated to this puppy chow recipe, yes, but I am just letting you now my thoughts. KEEPIN IT REALZ. We all know, and L-O-L-O-L-O-L-O-V-E (name that obnoxious-get-stuck-in-your-head-for-all-the-days song!) puppy chow. You probably grew up stuffing it into your face because it takes about 30 seconds to make, and will totally shut you up, so your mom made it for every single day of your life. Maybe that was just my mom though. I can’t confirm or deny that I talked A LOT as a kid. 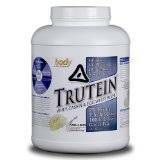 Now that we have established that you have had it in all of its classic good-nosity, have you had it with PROTEIN? And did you know that protein completely X’s out the chocolate? That’s what Wikipedia told me. I actually made this protein puppy chow recipe ALL THE EVERS ago, and just kept forgetting to post it. It was the inspiration for that Pumpkin Spice Chocolate Popcorn AND the Healthy GIngerwe ate awhile back. But, my friend-a-licious-friends, I promise it was TOTALLY worth ZE WAIT. It rhymes. Just go with it. Or if you don’t want to be an easy going human who lets really terrible rhyme-age go, you could just make it and see for yourself. P.s I will forever and ever spell rhyme wrong. Thanks spell check. 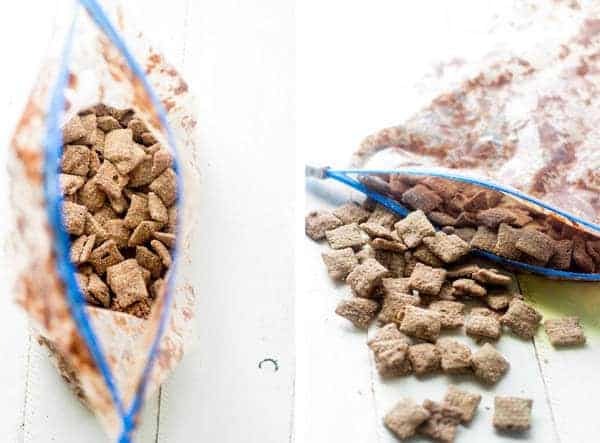 The classic Puppy Chow recipe gets a healthy, high protein makeover that is also gluten free and naturally sweetened. It's quick, easy, and great for kids! 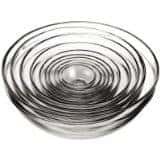 In alarge, microwave safe bowl melt the chocolate, peanut butter, honey and coconut oil. To do this I use 50% power and microwave in 20 second intervals, stirring between each interval, until everything is smooth and melted. 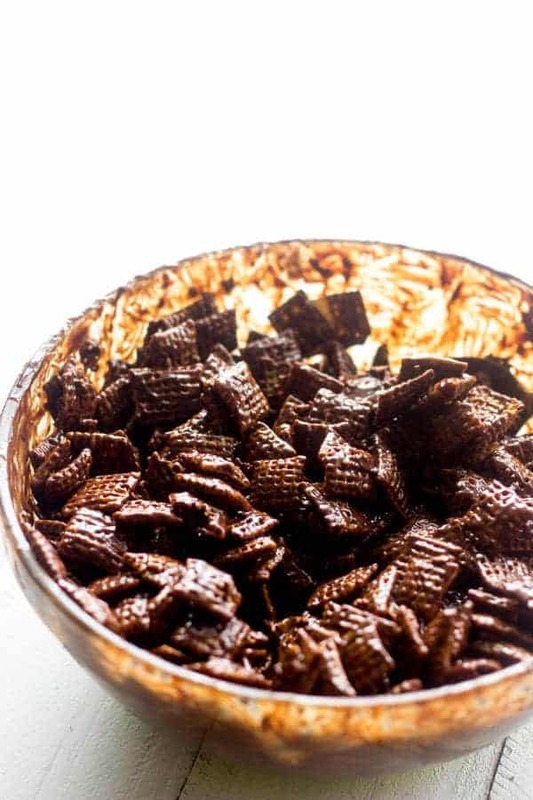 Stir the vanilla extract into the melted chocolate mixture, followed by the Chex cereal. Stir the cereal until each piece is well coated in chocolate. Place the protein powder into a large, zip-loc bag and then scoop the cereal into the bag. Seal the bag and shake around until the protein powder evenly coats the cereal. Ha ha that’s a good question, why do those people on road signs never have necks? I’m loving this puppy chow, Taylor! It’s my absolute weakness because it’s so darn addicting. I love that this version is filled with protein, makes me feel a little better about eating the whole bowl! Pinned! RIGHT? I am glad I am not the only one that it confused! Exactly. Protein = cancels out ALL the calories 😉 Thanks Gayle! I’ve actually always wondered why they call it puppy chow….. I “wonder” for 5 mins and then declare “who cares” and start shoving my face with it. Love the addition of protein powder! 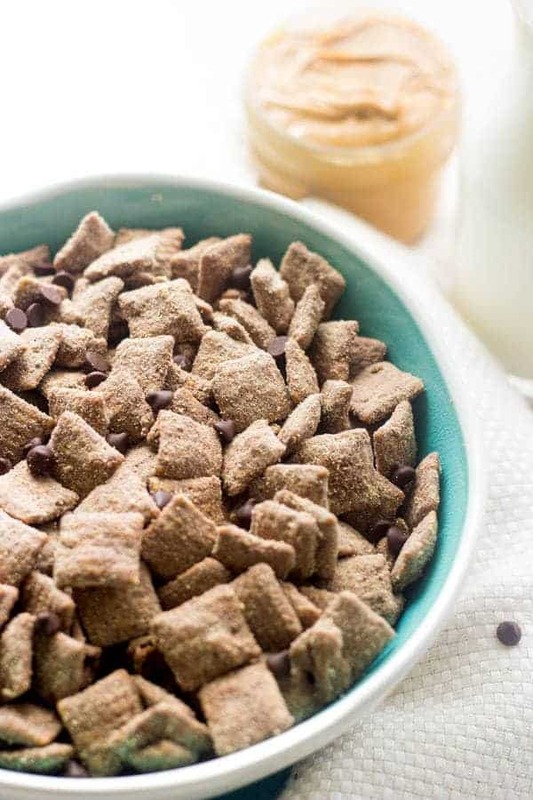 I can definitely get on board with healthier puppy chow. Haha, I knew there was a reason that I liked you 😉 Thanks Erin! Totally called puppy chow a “snack” when growing up instead of a “treat.” My friends and I made it all the time. Shaking the bag was our favorite part. I haven’t made the stuff in years but I can still taste it when I think about it. Sooooo good. and WHERE HAVE I BEEN Id never ever heard of puppy chow??? OMG OMG OMG. YOu haven’t LIVED CARLA! You need to try it!! I’m probably the last person on the planet to have never had puppy chow but this seriously looks delicious! WHAT?! OMG. It will CHANGE your life girl! Thanks! I adore puppy chow! It’s like the ultimate snack food, so now I’m elated to see a healthier version!!! What brand of protein powder did you use? 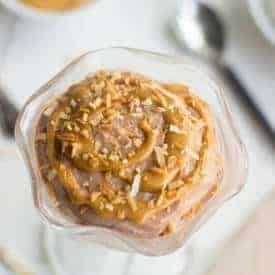 But if I was just making a protein shake you MUST try Body Nutrition because they make Cinnabun, Lemon Meringue Pie and Pumpkin Pie protein powders that are SO FREAKING GOOD! What a great recipe, Taylor!! I LOVE puppy chow! It was the one thing we would make every single year in school. So delicious! BTW I’m loving this grown-up, protein-packed, super delish version of puppy chow. Looks so awesome! Well I am glad your on the same confused brain train as I am Mike! It’s SO good right?! Thanks friend! drool. yes please! pinned 🙂 love the use of coconut oil! Thanks for the love and pin lady! The only puppy chow I have ever had…. Is actual dog food. This looks like it would taste FAR better! LOL! Oh gosh! I seriously HOPE SO! Thanks Gigi! Protein in my puppy chow?! I am SO in. This looks amazing and kinda sorta addicting.— I’m pretty sure I’d eat the entire batch on day 1. Whoooops. 😀 Pinned! It is sort of A LOT addicting! Ha! Thanks Sarah! I’ve been saying that for years… I’m not questioning our maker, but if I was to design a planet, I would make donuts be the healthy food, and veggies be the junk food. This looks delish! Thanks for sharing! Haha! You and me both girlfriend! YUM. I had never had puppy chow until about 5 years ago. Crazy? WHAT?! That is crazy! Better late than never! I love puppy chow! Great idea to add protein powder. True story – I didn’t have or know about puppy chow till my daughter brought it home the Christmas of 2012. Apparently a friend gave it to her as a gift and when she plopped it down on the kitchen counter, I opened it up and was about to give it to our “puppies” when she screeched “nooooooo” – yup, I was a confused Shashi then! I love your lighter version Taylor! Haha! Well I am glad I am not the only one confused about the whole puppy chow shenanigans! Thanks beautiful, I hope your day is fab! I believe Wikapedia. Always. 🙂 This stuff sounds addictive! That’s why I adore you. lol’ing bc I have SO had that dog-speak conversation with Dave – like, do dogs in Spain only answer to Spanish? In Germany only in German? or do they have a universal code we don’t even know about? seriously sooo funny you said that. OMG!!! I wonder the same things! So happy it’s not just me! HAHA! I am glad it’s not just me!! Thanks Jordan! You don’t have to tell me twice! I could devour this in no time! Pinned! Thanks for the pin Anna! Hahahahaha!!! Where do you come up with all your rhymes? Funny!!! I made peppermint white chocolate puppy chow one time. Then showed someone else how to make it. That was at least 3 years ago. It is crazy to think of naming it like dog food. Peppermint white chocolate sounds SO good!! And I am glad you also don’t understand the dog food reference – it is crazy! What the what! You have saved the day on my very favorite holiday (okay, okay, ANYTIME) treat! Since it is all protein, it’s totally okay to eat the entire recipe by myself in one sitting, right? I mean, just trying to get my daily recommended intake. 🙂 Thanks for the incredible recipe! That’s right. PERFECTLY ok, especially int he same of getting your daily protein! Ha! Thanks Anna Marie! I’ve never had puppy chow, although every time I see a recipe posted for it I think it looks so good. Why haven’t I found some chex and made it yet? Need to get on that! And adding protein powder sounds like a great idea! YOU HAVEN’T HAD IT! STACEY! You haven’t LIVED girl!! Get on it ASAP! Thanks for the love! Nope! Looks the same and tastes BETTER! If yes, email me! 😀 and thank you! 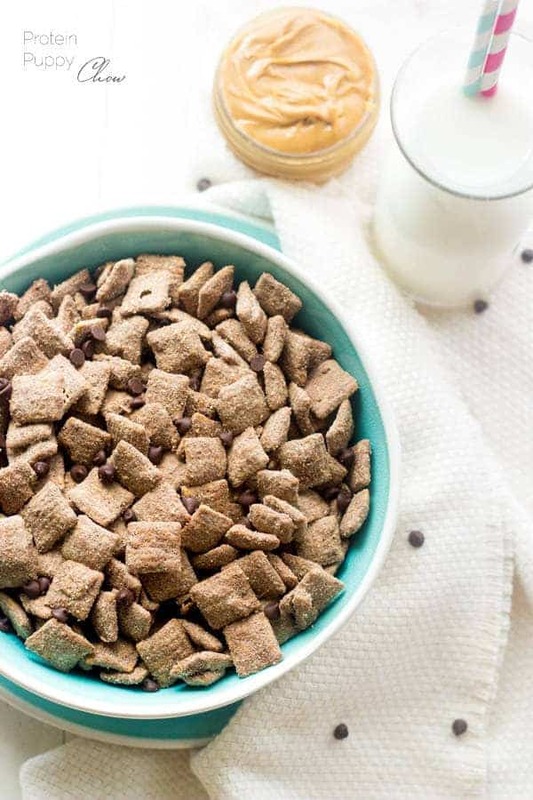 Excuse me while I go get some Chex cereal…this puppy chow looks too yummy! And filled with protein…! My only concern is how quickly this would be devoured! Hey, we need 1 g of protein per lb of body weight a day. So you SHOULD eat the whole thing! 😉 Thanks girlfriend! Since it’s healthy and all I don’t have to share with anyone?! NOPE! All for you! Thanks Meg! You ask some excellent questions! I have to assume they call it puppy chow because it kind of looks like dog food! Still a bad name because who wants to eat dog food?! Apparently me because your healthier version looks delicious! Pinned! It does kind of look like it – you’re right! But, I agree…not the most scrumptious of names! Just made it 5 minutes ago… What an excellent alternative to the sugary goodness we are as kids! My little guy even loves it! I used plain Rice Chex since it was what I had on hand and it turned out great just the same. Thanks for this! 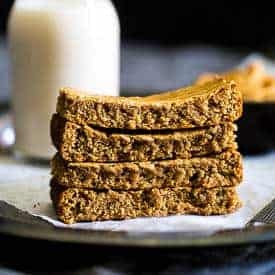 I found this recipe while searching for high protein, vegetarian snacks for young athletes. My kids and their friends LOVED it. It didn’t even last a day in my house. I’m making a triple batch next time! Thanks for a great recipe! 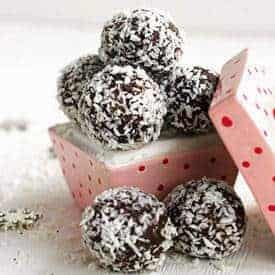 If you have any other high protein snack ideas, I’d love to see them! Woo hoo! I am so glad they loved it! Yay! They called it puppy chow because it looked exactly like Purina brand Puppy Chow. 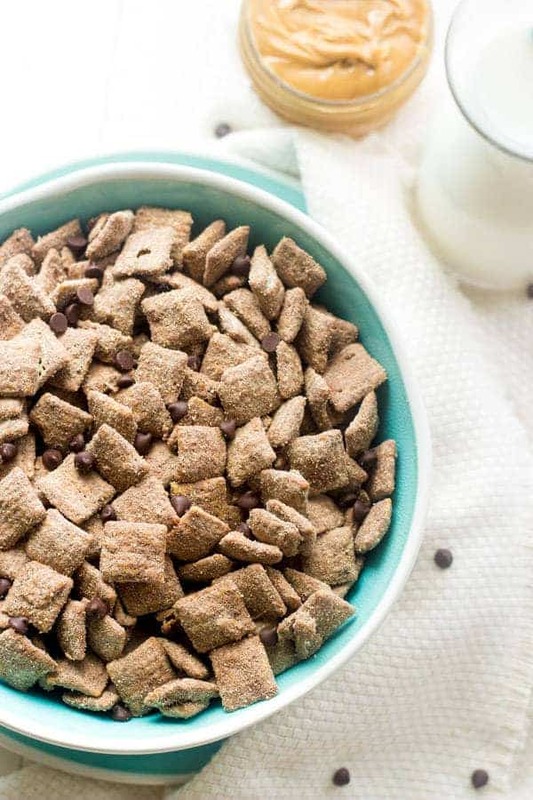 General Mills bought Chex cereals from Purina and then Purina merged with Nestle. 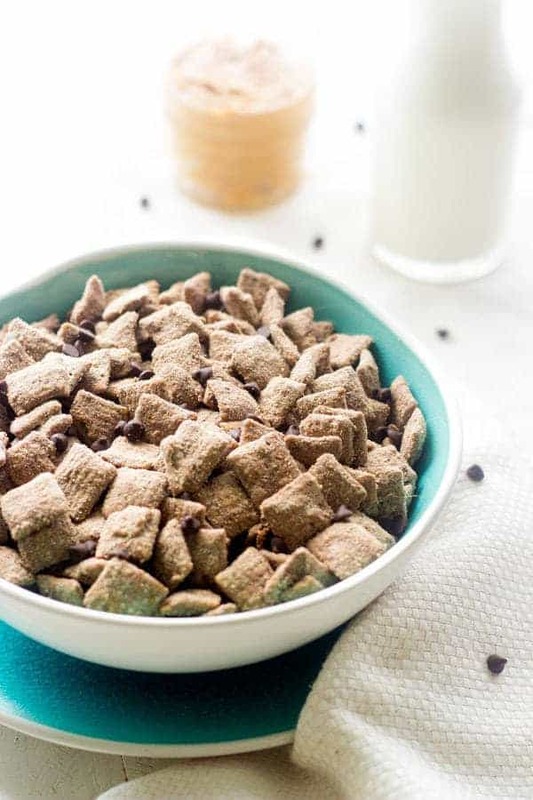 Somewhere along the way the name on the cereal box recipe changed from Puppy Chow to Muddy Buddies. Whatever you call it, it’s still good. I made it for my children in the 1980s, and it has always been a holiday snack food for our family, along with Chex Mix. Thank you so much for clearing up this mystery!